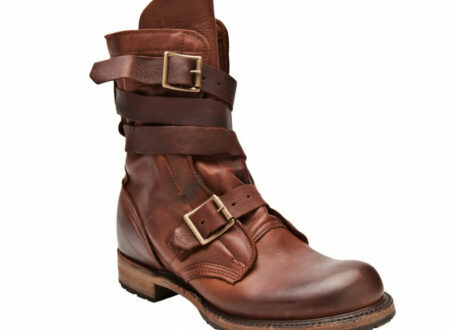 The Vintage Shoe Company is based in Martinsburg, Pennsylvania, they hand make some of the best looking footwear in the USA and this is their current favourite from their collection. The Elsinore Boot series feature an internal steel shank, a thick leather upper, a rubber sole, a zipper originally designed for paratrooper boots and a series of 5 alloy buckles down the outside to make sure they stay on no matter what the hell happens. The Elsinore Boot by Icon is part of their all new Icon 1000 range, the collection is made up of no-nonsense helmets, boots, clothing, gloves and other gear, largely designed to survive and thrive in a post apocalyptic, overrun-with-zombies future-scape from hell. Meaning they’ll be able to handle your regular commute without blinking an eye. 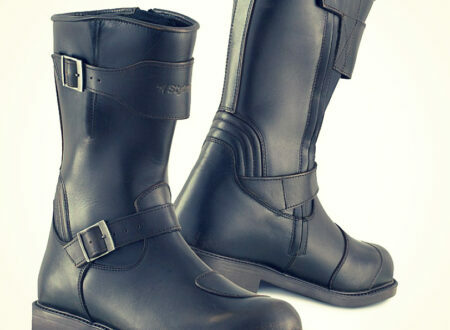 Stylemartin produce some of the best looking retro motorcycle boots money can buy, they seem to have found a niche where they build boots with modern safety elements inside a vintage design, largely aimed at people who ride classic motorcycles.